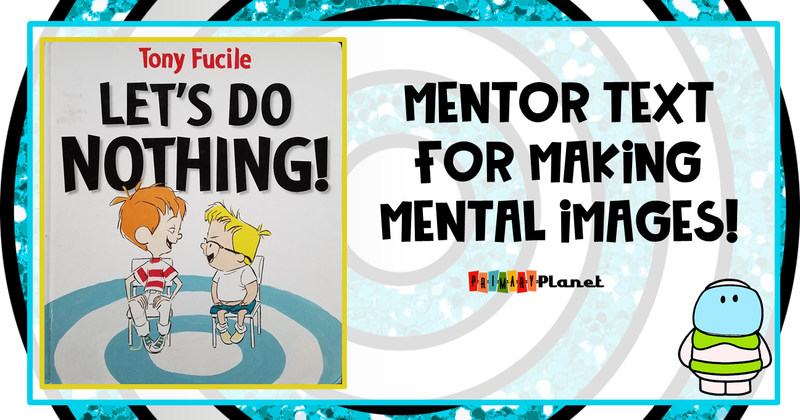 Mentor Text for Making Mental Images | Primary Planet! Making Mental Images or Visualizing is one of my favorite comprehension strategies to teach my kiddos! My Neighbor's Dog is Purple! The Girl Who Thought in Pictures! They all have freebies of course! 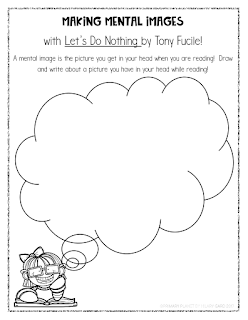 This book is a great way to show making a mental image! 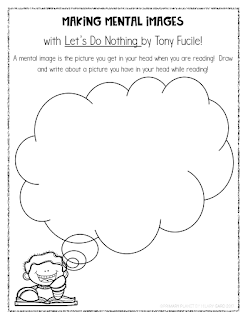 We talk about how to use the text to make pictures in our heads. I usually read this book to my kiddos and have them make the pictures in their heads before I ever show them the pictures. We talk about our own pictures, then we see what Sal and Frankie come up with! The two boys learn that you can't do nothing! You are always doing something! 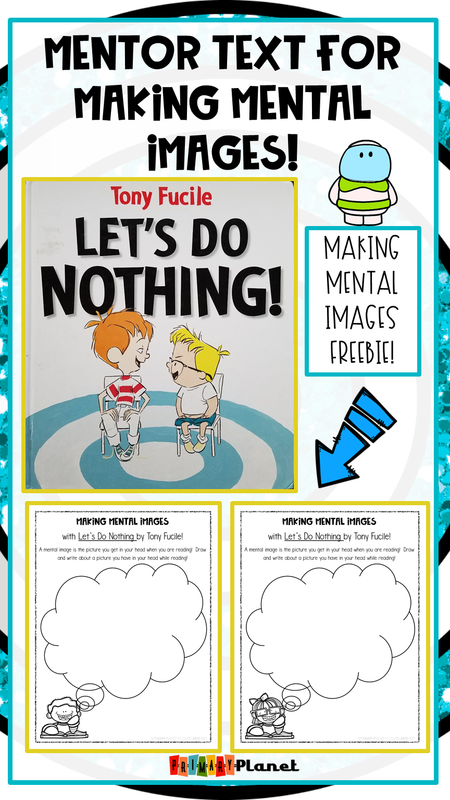 We use mental images for lots of different things in our classroom! We visualize our classroom rules, our procedures, our math problems. It is a great strategy for following directions as well. If you do not already own this wonderful book, you can use this affiliate link to purchase it through Amazon! 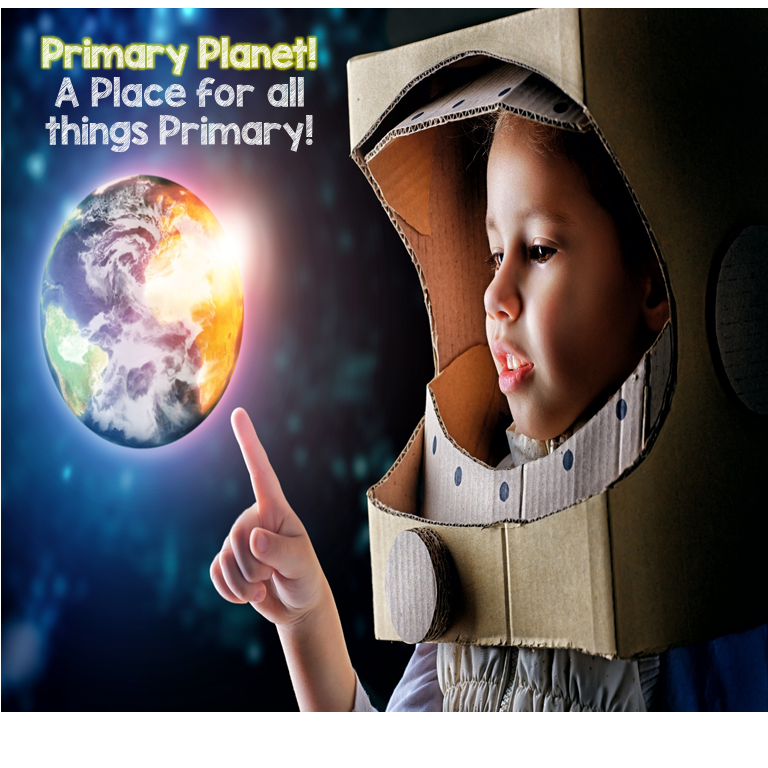 (affiliate links provided to fund future Mentor Text Monday book purchases!) I make a small commission at no extra cost to you! Thanks for your support! I LOVE teaching visualizing in the classroom. What great books do you use? Leave me a comment below. Don't lose your freebie! Pin the image below! Looking for more fun freebies? Don't miss out! 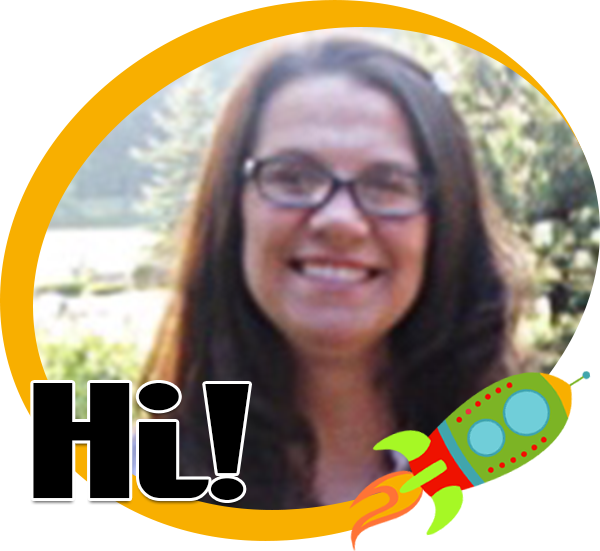 Sign up for my newsletter to stay in the loop! It has many helpful information which is written in a simple and meaningful way. Thank you for sharing this article. The content is honestly written. This blog is always sharing useful facts. Refer custom essay writing service for affordable essay papers. Keep sharing more posts. Mental images make me feel better and inspire to make things that will help me in future work. I have written several blog posts about this wonderful strategy to help your student's reading comprehension. We use mental images for lots of different things especially to write essay for me .I believe that this is the best method for this task.